This December (2015), Andy + I braved the winter roads and drove out to interior BC for the holidays. It was a great little BC winter getaway to visit his family and best friend. The drive through Jasper itself was stunning, we got lucky with pretty decent road conditions. I always love our road trips. Plus is was the first big trip with my new little adventure wagon matrix, and it did the job! Overall, the week was wonderful. It was my first break after a busy and exciting market season, and I was relieved to get away, disconnect, and spend some down time with family. I always love the holidays: the Christmas tree, the cozy movie nights and delicious meals. This trip is best depicted in snapshots, so below I’ve complied my favourite moments on our little adventure. I’ve had several people asking me where + what we were up to so here it is. Mahood + Canim Falls – the frozen falls were incredible! 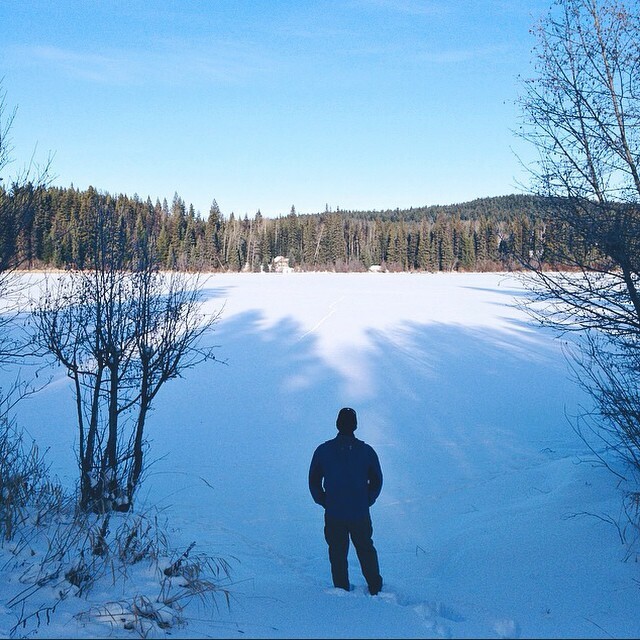 Exploring Wells Gray Provincial Park – it’s so remote! Wildlife spotting (and not hitting them)! Moose, deer, elk, rams + bunnies.